The Suicide Rate In Guyana Is One Of The World's Highest. Why? : Goats and Soda Named by WHO as the country with the world's highest suicide rate in 2014, Guyana has made it a priority to help those in need. Editor's note: This piece discusses suicide. If you have experienced suicidal thoughts or have lost someone to suicide and want to seek help, you can contact the Crisis Text Line by texting "START" to 741-741 or call the Suicide Prevention Lifeline at 800-273-8255. In February 2016, Govin Munswami considered killing himself. He had just returned to his family farm after visiting his wife, Amanda, in the hospital. The morning before, she had showered and left home to visit her mother. As she approached her front gate, she realized she forgot her purse. She turned around, went back inside her house to retrieve it and attempted suicide. Her husband sat by her hospital bed for seven days as she lay dying. He listened as she apologized. She said that she had made a mistake and couldn't explain her motive. Just six months prior, Munswami's mother, Yvonne, took her own life after a fight with her husband, Munswami's father, who succumbed to a fatal heart attack the next day. Before his mother died, Munswami was able to speak with her and ask her why she did it. "She said she didn't know why," remembers Munswami, a 31-year-old teacher with a sturdy build and solemn stare. He says that both women told him they had acted impulsively in a moment of despair and expressed regret for their decisions. Faced with these losses, Munswami felt compelled to take his own life. But then he thought about his wife. Before she died, she had asked him for two things: to forgive her and to finish his degree. "I'm still here," he says. "Although life has been rough, every day is a new day of your life." 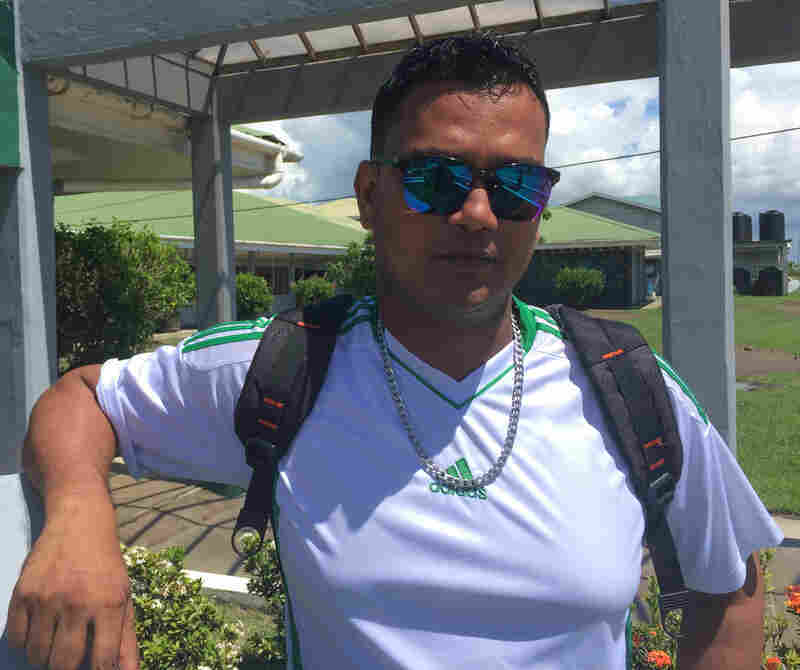 Munswami has begun to speak out against suicide in his rural community of Black Bush Polder, known by many as the "suicide belt" of the small Caribbean nation of Guyana. In a 2014 report by the World Health Organization, Guyana was cited as the country with the highest suicide rate in the world — 44.2 suicides per 100,000 deaths, four times the global average. The WHO report represented an effort to bring global attention to the issue of suicide. The goal was to encourage individual countries to take steps to prevent suicide, considering their specific culture and addressing local risk factors. In 2015, Guyana became one of only 28 countries to develop a suicide prevention plan in response to the report. The plan identifies factors that could contribute to the country's high rate of suicide. There are many reasons for Guyana's high rate of suicide, says Balogun Osunbiyi, president and co-founder of the Guyana Psychological Association, and a government psychologist. He agrees with the assessment of the National Suicide Prevention Plan issued by the Ministry of Health, identifying poverty, pervasive stigma about mental illness, access to lethal chemicals, alcohol misuse, interpersonal violence, family dysfunction and insufficient mental health resources as key factors. "All of these factors are like dominoes," says Osunbiyi. "Sometimes it's more of this, sometimes it's more of that. But they are all factors on the table." Guyana is one of the poorest countries in the Caribbean, with a per capita GDP of $4,240. Approximately 60 percent of Guyana's approximately 800,000 citizens live in isolated villages on the coast, where jobs — and community resources like mental health facilities — are limited. In these agricultural villages, most men farm rice or cut sugar cane, still working with the same kinds of cutlasses used a century ago. The majority of women stay at home and tend to their families, according to the World Health Organization. Records that we requested from the Ministry of Public Security show that approximately 70 percent of the country's suicides occur in these rural regions. Osunbiyi says that in these communities, many people turn to alcohol and self-harm to cope with feelings of hopelessness, poverty and economic despair. While there may not be clinics and social support networks in these villages, there are plenty of rum shops, says Caitlin Vieira, a Guyanese government psychologist and addiction specialist. "Sporting," Guyanese slang for drinking, is a popular pastime, she says. "In these rural communities, there is nothing to do but drink," says Vieira. "Alcohol is huge in the culture. In some regions families will drink like they would play monopoly with the family." A 2010 study by the Pan American Health Organization reported nearly 80 percent of Guyanese adolescents had their first drink before the age of 14, and some children try alcohol for the first time in elementary school. And while the relationship between alcohol and suicide is vastly under-researched, studies suggest that alcohol use disorder is a likely contributor to suicidal ideation and attempts. According to Osunbiyi, family dysfunction and domestic violence also contribute to Guyana's high suicide rates. Natasha Houston and her mother at home in Zeelugt. In 2013, Houston's husband killed their two children, slashed her arm and hand, then died, apparently by suicide. That is the story that Natasha Houston tells. She is a survivor of domestic violence, and like Munswami, she has begun to share her story to help others avoid tragedies like her own. In 2013, after enduring seven years of domestic abuse, Houston took their two children and left her husband, Richard Lord. 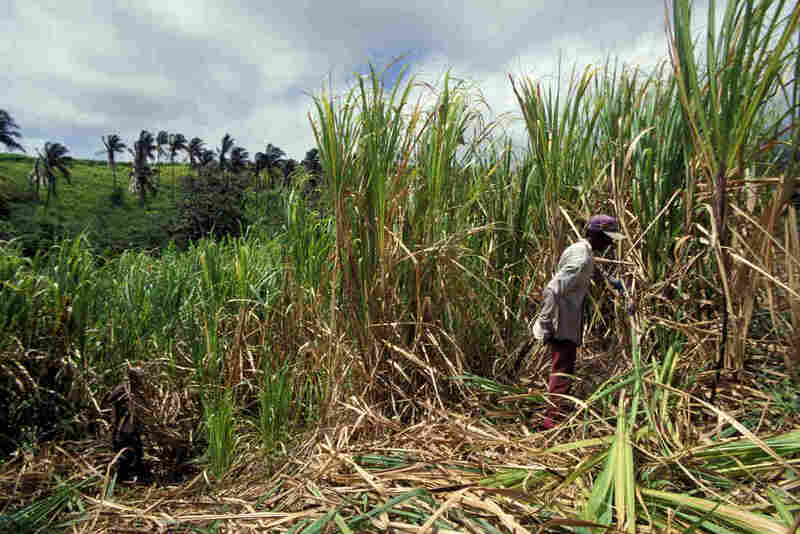 But Lord, a sugar-cane cutter with whom she had eloped when she was only 13, found them in a nearby town. In a deadly and drunken fit of violence, he took the lives of their children — along with Houston's right arm and most of her left hand. He fled into the woods behind their home. Neighbors found him weeks later, dead from an apparent suicide. Houston says Lord experienced a pattern of abuse that began as a child. When he was growing up, he witnessed his father abusing his mother in a household where corporal punishment was commonplace. According to Houston, once they were married, Lord would regularly drink to excess and often physically abuse her. While Houston's story represents an extreme example, stories of gruesome domestic violence were repeated to us often in these most rural regions of Guyana, especially in Regions 2 and 6, where suicide rates are highest. Dr. Sonya Grey, medical superintendent of Suddie Hospital in Region 2, says she treats two to three people who have attempted suicide and at least one domestic violence-related injury per week. While she suspects many of her patients are victims of domestic violence, few report the offenses to the police, according to Grey. The National Suicide Prevention Plan states that East Indians, who make up roughly 40 percent of the population in Guyana, accounted for over 80 percent of the country's suicides between 2010 and 2013. That statistic has led some experts, including Osunbiyi and Gaiutra Bahadur, a Guyanese journalist and Harvard Nieman Fellow, to look to the past for clues. When slave labor was abolished in 1838, plantation owners in Guyana began to import indentured servants, mostly from the lowest castes of India. In the social hierarchy of Guyana, these East Indians were relegated to a status lower than the freed African slaves. Indentured women ranked even lower than indentured men, and, in many cases, became the only property an indentured man could claim. "Two struggles for power unfolded simultaneously," writes Bahadur in her book Coolie Woman: The Odyssey of Indenture. "One between indentured men and the system that made such wild claims to ownership — a system that saddened, emasculated and induced suicide — and another between Indian men and their women." Bahadur studied these dynamics through the history of her own family. Her great-grandmother had come to Guyana from India and became an indentured servant in 1903. She suggests that this history of violence and exploitation manifests itself in the lives of the Indo-Guyanese today. According to both Osunbiyi and Bahadur, power dynamics and claims of ownership between men and their wives still persist in these mostly agricultural communities, especially those with high populations of East Indians. As a U.S.-licensed lawyer, mental health advocate and former managing director of the Guyana Foundation for three years, Anthony Autar has traveled the country discussing mental health conditions and access to mental health with his fellow citizens. In 2014, Autar led the Guyana Foundation to launch the largest private mental health initiative in Guyana's history to address the WHO report on suicide, which had led to the media calling Guyana "the suicide capital of the world." During these research and advocacy efforts, he found that many of Guyanese citizens had become accustomed to the residual trauma of these cycles of violence and suicide. "They think it's normal," he says. Autar says he didn't realize that he too needed to seek mental health services until he moved to the United States to attend law school. Various studies, while not specific to Guyana, have shown that untreated trauma and post-traumatic stress disorder contribute to suicidal behavior. In Guyana, Autar says that much of the population has witnessed or experienced traumatic events like suicide, intimate partner violence and abuse. Until Guyana can effectively address and treat these concerns, Autar and many others believe that suicide and domestic violence will persist. Autar, Osunbiyi and the National Suicide Prevention Plan all site stigma as an important part of the puzzle. Many who do share their struggles with issues like depression or suicidal thoughts fear that, in small towns where gossip is reportedly common, they will be stigmatized or shunned due to a lack of awareness surrounding mental health. A primary source of that stigma, says Autar, is an antiquated piece of mental health legislation dating back to 1930, which defines people with mental health challenges as "idiots" or persons suffering from mental "derangement." According to Autar, many people do not reach out for mental health support because they are afraid they will be locked up for an extended period. Eighty-five percent of patients sent for treatment spend more than five years in long-term care in a psychiatric hospital, and there are no laws that protect the rights of patients to refuse services or leave the hospital on their own accord. Many people, then, might keep struggles with depression or suicidal thoughts quiet for fear of being locked away at the National Psychiatric Hospital, which many still refer to as the "Berbice Madhouse." One of the country's three newspapers ran a headline last year referring to an "escaped psychiatric hospital inmate." Someone experiencing suicidal thoughts could call the national suicide prevention hotline, but attempted suicide is still illegal in Guyana, and the hotline is run by the police. The psychologist Caitlin Vieira says that very few callers, if any, have been punished or arrested since the hotline's start. Yet the fear of prosecution prevents many people from using the service, says Autar. Distance is also an obstacle. Many families in remote areas must travel hours to Georgetown Public Hospital in the capital to seek psychological evaluation, which can be both logistically and financially challenging. Two rehabilitation centers serve those struggling with substance abuse, and many cannot afford their services. One center serves only men. The mental health professionals who are able to travel to rural areas are overworked and often only able to devote minimal time to each patient, say Autar and Vieira. "We have so few mental health professionals who are properly trained," says Autar. "It's not easy at this point for [patients] to get the follow-up support that they need." While much progress has been made since the WHO report on suicide, mental health care is still limited. According to the Ministry of Health, increasing the number of mental health professionals is a critical first step. Guyana's Suicide Prevention Plan focuses primarily on improving mental health services and raising awareness for underlying issues that can lead to suicide like depression, alcohol misuse, and access to poison, which, according to the government's plan, accounts for more than 65 percent of suicide deaths in Guyana. That plan pledges to increase the number of mental health professionals as part of an overall effort to decrease suicide mortality and attempted suicide rates in Guyana by at least 20 percent by 2020. According to Osunbiyi, approximately 120 medical doctors have participated in training for "moderate-severe depression intervention" from PAHO and the WHO in the past two years and are deployed across the country at various health facilities. Since 2014, the number of practicing psychologists and psychiatrists in Guyana has more than tripled, from seven in 2014 to 27 today. Many come from Cuba and others returned home to Guyana after earning educations in the United States and Canada. Statistics offer evidence that these initiatives may be working. 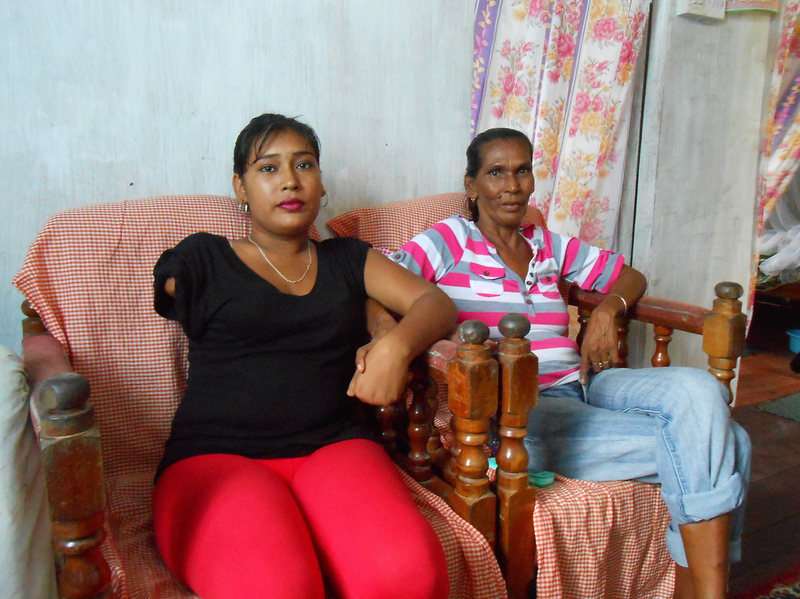 Despite the stigma, people have begun seeking help in Guyana. In the four years since the WHO report, Guyana's suicide rate has dropped by 32 percent to 30.2 suicides per 100,000 deaths, according to the most recent WHO statistics, released in April 2017. But Guyana still has the third highest suicide rate in the world. For Osunbiyi and other mental health professionals, there is still a long road ahead. "Some of us, we're working 14 hours a day. It's hard work," Osunbiyi says. "It's because we're starting from zero. There was absolutely no structure before." There is still a long way to go before Guyana's mental health services are sufficient for those in need, especially in the most isolated communities. In rural regions like Black Bush Polder, individuals may go days without interacting with others outside of their family, says Osunbiyi. "These communities are enclosed communities," he says. "You go to the farm at five or six in the morning, you work until about two or three, you come back home." According to Osunbiyi, this isolation forces many people in agricultural communities to cope with trauma, mental health issues and family dysfunction alone. While increasing the number of psychologists and psychiatrists in Guyana is a high priority for the Ministry of Health and the Guyana Psychological Association, training cannot happen overnight. In the meantime, community-based lay counselors are providing support for those in need. Many are survivors of domestic violence. Others have considered or attempted suicide themselves. Miriam Roberts-Hinds is the head counselor at the Guyana Foundation's Sunrise Center, a community counseling and training center focused on mental health conditions. She uses her experience to reach others who are dealing with issues like suicide and domestic abuse. She says she could have been of one of the many suicide stories that pepper local newspapers. She became pregnant when she was only 15 after her first sexual experience with a man, eight years older, who became her husband. And she says he physically abused her. According to Roberts-Hinds, young girls in Guyana learn maxims like, "if he doesn't hit you, he doesn't love you," and, "better the man you know than the one you don't." "What [many women in Guyana] have been introduced to as 'love' is what we would term abuse," says Roberts-Hinds. "That's what they think as being normal." Roberts-Hinds, who is now studying to earn a master's degree in psychology, credits the support of her parents for giving her the ability to leave her husband and seek help when she had suicidal thoughts. She says her parents helped her to realize she had purpose and "goodness inside of her." Others aren't as fortunate, says Roberts-Hinds. The social norm in Guyana is not to speak up about abusive or traumatic situations, that you'd be seen as weak, "crazy," or dangerous. Communication barriers due to stigma and social norms cause those in abusive or traumatic situations to stay silent. Osunbiyi agrees that displays of affection and positive communication need to be a greater part of Guyanese family life. This is why, every day, he wears a pin on his shirt that says, "Let's Talk." The pin is a symbol of a government-sponsored campaign to fight depression, which works to combat the stigma that prevents many Guyanese from seeking professional help for mental health issues. The association is bringing its efforts into the schools. Teachers are being trained to instruct students to communicate about their own mental health issues and about sources of stress in their life, such as abuse at home, substance abuse, and risky sexual behavior. The Ministry of Public Health has sponsored a program called "Cognitive Behavioral Intervention for Teachers in Schools" and, according to Osunbiyi, is looking to expand the program to more schools in the coming years. Breaching the silence is critical, Osunbiyi and others believe — especially with youth ages 15 to 24, for whom suicide is the second leading cause of death, according to the National Suicide Prevention Plan. He hopes that opening up lines of communication could help reduce the country's high suicide rate and also give people in abusive situations the ability to see that there is a life beyond the violence. That's the message that Natasha Houston sends when she tells her story. Speaking out about domestic violence, she addresses crowds as large as 200, urging those in abusive situations to seek the help they need before their situations escalate. "Everywhere I go, people say, 'What a beautiful girl. I wonder what happened with her hand?'" Houston says. "But my experience, it helps somebody else out there. It might be advice for them, for people in the same situation I was in." In November 2017, Govin Munswami graduated with a bachelor's degree in education from the University of Guyana-Berbice, fulfilling his promise to his wife. In his sixth grade classroom in Black Bush Polder, he uses his experience to relate to students who might be struggling. The goal for Munswami, Roberts-Hinds and many others in Guyana is to teach children to express their emotions and discuss their personal issues with family members, friends and teachers. They hope that if people are better able to cope with difficult situations, the country's high rate of suicide will continue to decrease. "After I share my story with young people who think their life is messed up, they say that if I can make it, maybe they can make it as well," says Munswami. Reporting for this story was made possible by a grant from the Pulitzer Center on Crisis Reporting. A caption in an earlier version of this story misspelled the name of the village Zeelugt as Zeelgult.